The Aesthetics of Composition in Abstract Painting: 5 (plausible) reasons Vincent Van Gogh was ignored. 5 (plausible) reasons Vincent Van Gogh was ignored. We all know the name Vincent Van Gogh. I have never met an artist that said "I don't like the paintings of Van Gogh." Our current generation of artists and patrons of the arts are slightly programed to like him as a result of his lack of patronage during his life. It's true, and its okay so just deal with it. Why couldn't this master oil painter with more vision than any of his contemporaries sell his paintings. I do not believe it was because of his work. People buy what is good and there are always people willing to buy new ideas. Five (plausible) reasons Vincent Can Gogh was ignored in his life time. 1. He was crazy, and not in that cool I'm still kinda hip crazy who wants to be normal way. He claimed to have hallucinated often (without drugs), some believe he may have had bipolar disorder or manic depression, or possibly even lead poisoning from the oil paint (which can make you very very crazy for short periods of time). So seriously Van Gogh acted crazy often for reasons we can guess at but honestly can't explain without conjecture. 2. He drove people away with his fits of madness. 3. He was born in the wrong place and time resulting in the unpopularity of his works. 4. He indulged in drinking, drugs, and absinth as often. 5. He was clearly one of the greatest artists of our time. Oddly, I have never paid all that much attention to the more popular works of Van Gogh. 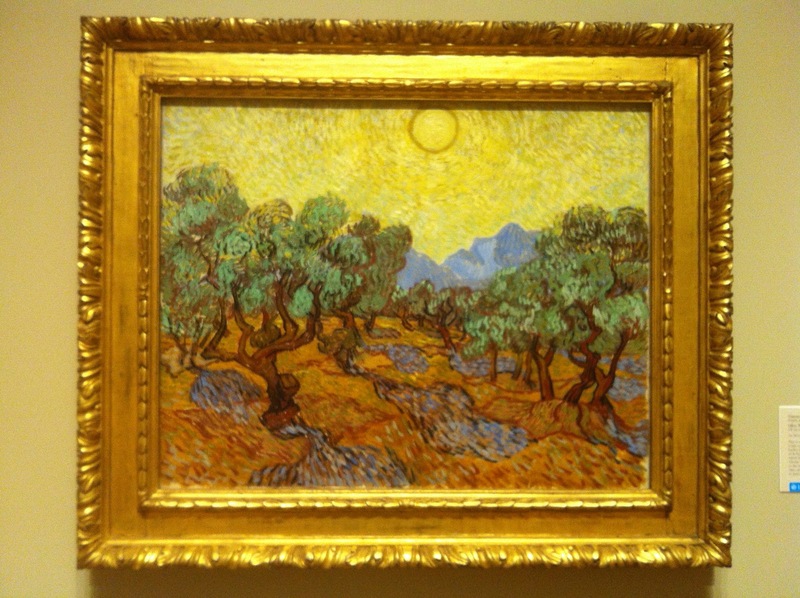 I have had the pleasure of being able to truly observe one of his olive tree paintings for the last 20 years. 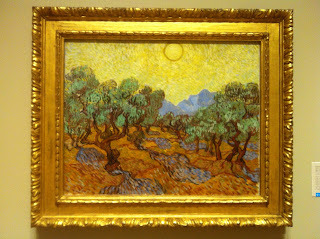 "Olive Trees" is on display at the Minneapolis Institute of Arts. This is one of my many favorite works of art at the museum.